April is the month we celebrate the Earth and this year I decided to host a small gathering at my place to bring together my crafty ladies and do something green at the same time. The casual D.I.Y. 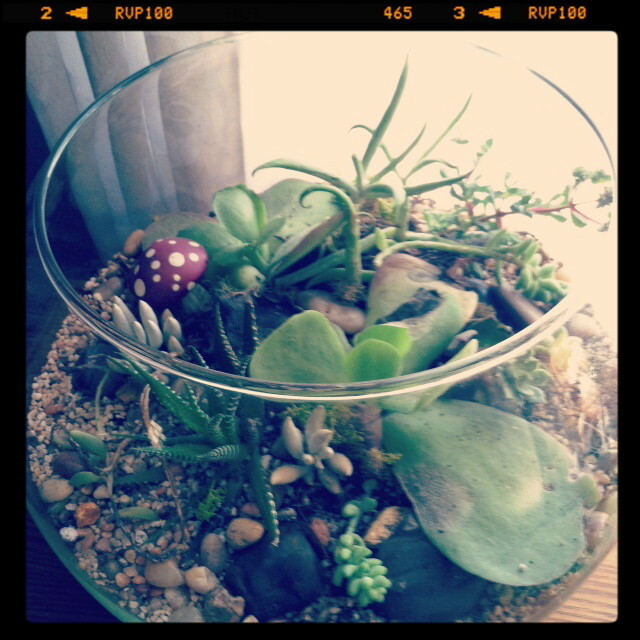 tutorial on how to make your own terrarium only cost $20 (a special "friend rate"), which included the glass bowl, 3 succulents with fixings and the lesson, plus they got to take home the result! Terrariums are great for those born without a green thumb, for a easy decor addition to any home or as a gift that everyone loves (especially if it is handmade). Here are some images from the day ! Thank you to everyone who participated! If you or anyone you know would like to attend the next tutorial, please email me at: joyboe@hotmail.com. I can do special events for bridesmaids, birthdays, or co-ed housewarming parties.